The release of this month's Hella Handmade Creations is just a matter of days away and I have two of the polishes to share with you. Today I have Grace-full Nail Polish's creation to share with you and tomorrow I will have the polish from Emily de Molly. 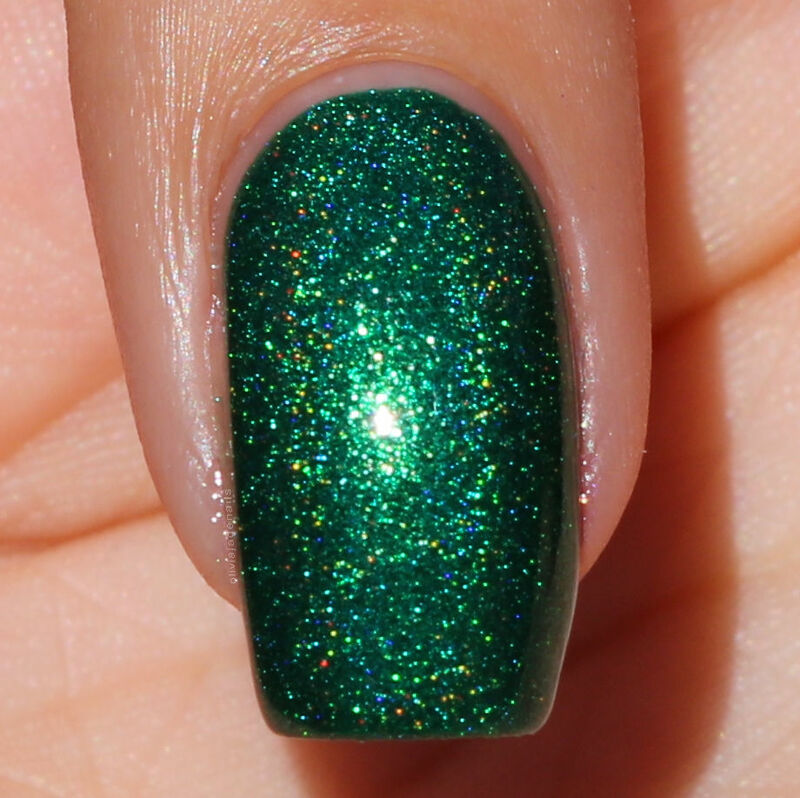 You Make Me Quiver is a deep emerald green linear holo with lighter green flecks of shimmer through. This polish is such a nice deep colour. The formula is awesome. You could easily get away with one coat. My swatch shows two coats. 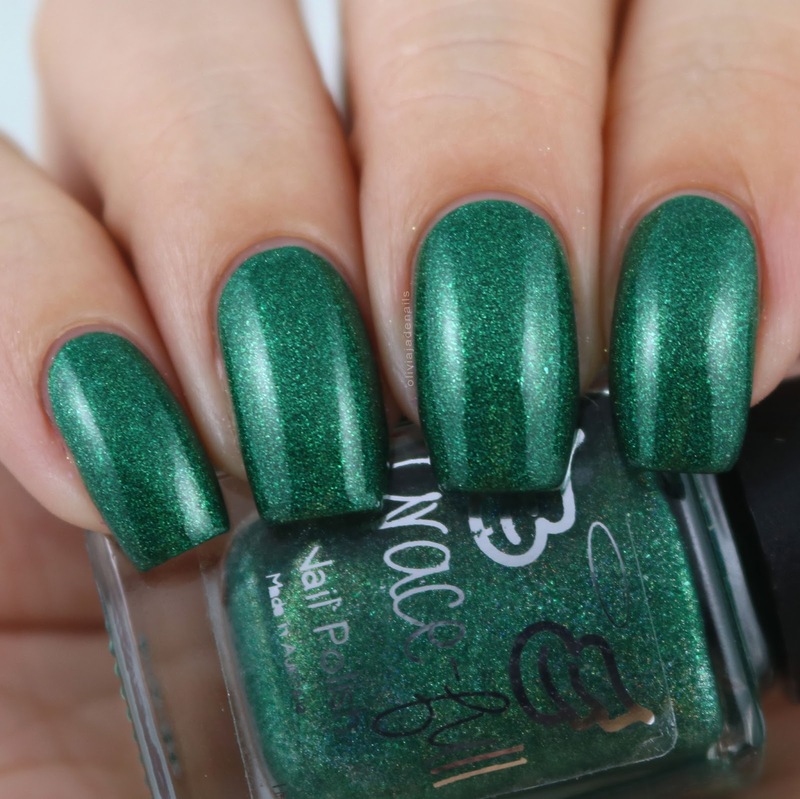 I'm personally not one to wear green nail polishes but I can see me using this more for nail art. It's such a great deep colour. You Make Me Quiver is available for presale on May 14th at 12am EST until May 21st 12am Hawaiian time from Hella Handmade Creations.